Get ready to pass out. Literally. 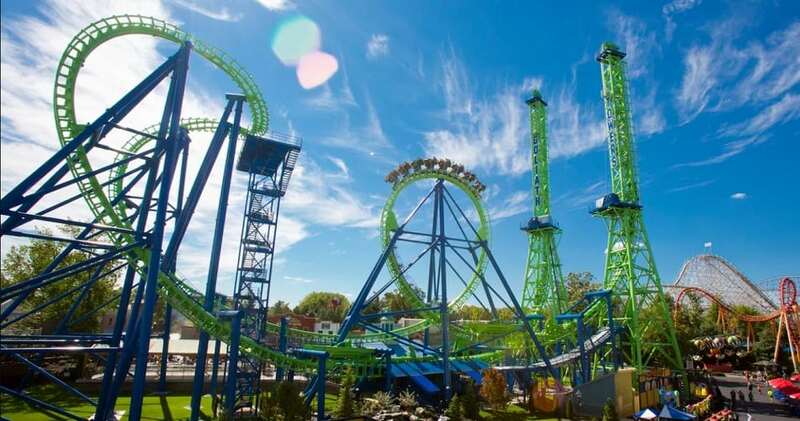 Goliath is the most extreme coaster of its kind with a 165-foot lift hill and a heart-racing drop at a near-vertical 85 degrees. You’ll dive to the bottom of this gut-wrenching slope at 72 mph before you even have time to scream. You’ll either love it or hate it.